Come socialize and work on your special hand applique project, and receive expert advice and assistance as well! 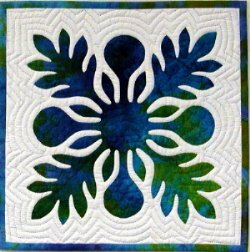 Nancy will answer all your questions about needleturn applique techniques, as well as other topics such as 3-D applique, embroidery embellishments, and different approaches to your projects. Prerequisite: Experience with needleturn hand applique. Sale price as shown above.